Having watched plenty of adventure anime over the years, I have finally compiled a list of them that I personally think are must watch for any fan that like the adventure genre. Without further a due, I am sharing my best adventure anime list here! Keep in mind the list is in no particular order. 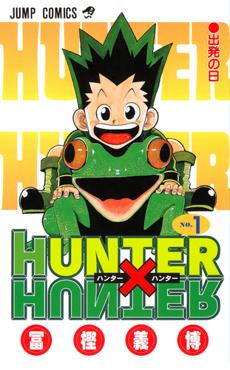 After becoming 12, Gon leaves his home and takes on the task of entering the Hunter exam, notorious for its low success rate and high probability of death to become an official Hunter. He befriends the revenge-driven Kurapika, the doctor-to-be Leorio and the rebellious ex-assassin Killua in the exam, with their friendship prevailing throughout the many trials and threats they come upon taking on the dangerous career of a Hunter. Based on the manga by Togashi Yoshihiro. Set in an imaginary world, the Earth Land, there exists a Mage Guild called “Fairy Tail.” Fairy Tail is stationed in the town Magnolia, residing in the Kingdom of Fiore, and is currently governed by Makarov, Guild’s master. Lucy Heartfilia, a 17-year-old girl, wishes to become a full-fledged mage and join one of the most prestigious Mage Guilds in the world, Fairy Tail. One day, out of pure coincidence, she meets Natsu Dragneel, a boy who is transportation-sick, but very cheerful in nature. However, the thing she does not know is that Natsu is the closest connection to Fairy Tail, as he is a Mage in Fairy Tail. 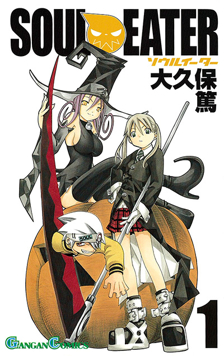 Set in the Shinigami technical school for weapon meisters, the series revolves around 3 groups of each a weapon meister and a human weapon. Trying to make the latter a “Death Scythe” which is the highest title for a weapon and thus fit for use by the Shinigami, they must collect the souls of 99 evil humans and 1 witch. In this world there exist alchemists, people who study and perform the art of alchemical transmutation—to manipulate objects and transform one object into another. They are bounded by the basic law of alchemy: in order to gain something you have to sacrifice something of the same value. The main character is the famous alchemist Edward Elric—also known as the Fullmetal Alchemist—who almost lost his little brother, Alphonse, in an alchemical accident. Edward managed to attach his brother’s soul to a large suit of armor. While he did manage to save his brother’s life, he paid the terrible price of his limbs. To get back what they’ve lost, the brothers embark on a journey to find the Philosopher’s Stone that is said to amplify the powers of an alchemist enormously; however, on the way, they start uncovering a conspiracy that could endanger the entire nation, and they realize the misfortunes brought upon by the Philosopher’s Stone. Mugen’s a buck wild warrior—violent, thoughtless and womanizing. Jin is a vagrant ronin—mysterious, traditional, well-mannered, and very strong as well. These two fiercely independent warriors can’t be any more different from one another, yet their paths cross when Fuu, a ditzy waitress, saves them from being executed when they are arrested after a violent swordfight. 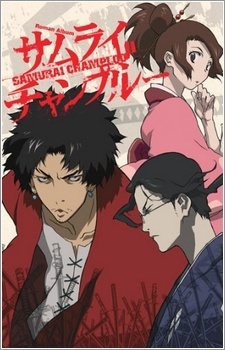 Fuu convinces the two vagrant young men to help her find a mysterious samurai “who smells of sunflowers.” And their journey begins. This is a story about love, friendship, and courage… NOT! Based on the Shogakukan award-winning manga of the same name, InuYasha follows Kagome Higurashi, a fifteen-year-old girl whose normal life ends when a demon drags her into a cursed well on the grounds of her family’s Shinto shrine. Instead of hitting the bottom of the well, Kagome ends up 500 years in the past during Japan’s violent Sengoku period with the demon’s true target, a wish-granting jewel called the Shikon Jewel, reborn inside of her. 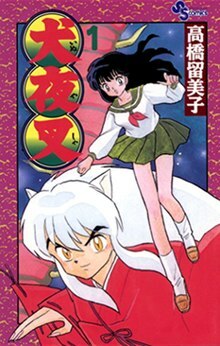 After a battle with a revived demon accidentally causes the sacred jewel to shatter, Kagome enlists the help of a young hybrid dog-demon/human named Inuyasha to help her collect the shards and prevent them from falling into the wrong hands. Joining Kagome and Inuyasha on their quest are the orphan fox-demon Shippo, the intelligent monk Miroku, and the lethal demon slayer Sango. Together, they must set aside their differences and work together to find the power granting shards spread across feudal Japan and deal with the threats that arise. Himura Kenshin is a vagabond with a dark past and sunny disposition. Not a ronin but a rurouni, he was never a samurai, but an assassin of utmost skill in the Meiji restoration, who in the turning point of the war simply walked away. His travels lead him to Tokyo in the 11th year of the Meiji era, where he befriends a female Kendo master, a former thief, a brawler and a doctor all with their own secrets. Together they fight off the enemies surfacing from the dark past that Kenshin cannot escape.